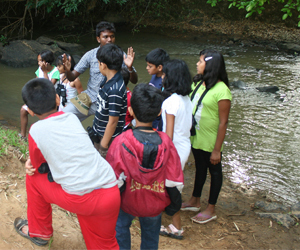 The children are taken for treks in and around Mudhumalai.The ruggedness of the terrain is chosen depending upon the average age and ability of the the children. 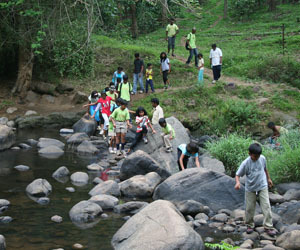 Children get to experience the sights and sound of nature first hand. During the trek bird-watching, spotting of Mammals, Reptiles, Amphibians, Insects and Edible plants are pointed out for survival skills alongside poisonous plants. Tracking of animals using pug marks,trail markings and animal droppings is also done. Apart from treks, nature walks in and around the camp site are conducted for children who want to study the surrounding habitat. 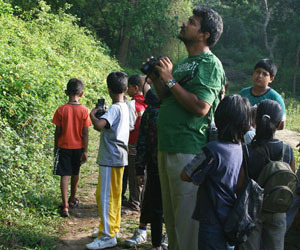 Jungle Safari is the ideal method for kids to explore wild animals in their natural habitat. 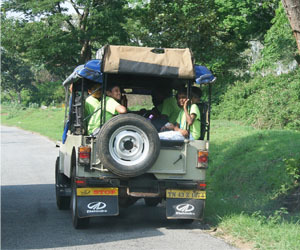 The practical knowledge the kids gain during jungle safari is much valuable than the stuff they gain from text books. 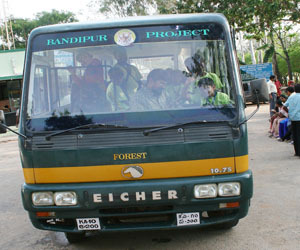 The children are taken to Bandipur National park Jungle Safari in a protected van. The usual sightings during a safari are Bison, Elephants, Doles, Ruddy mongoose, Sambar deer, Barking Deer, Spotted deer, Yellow Spotted Green Pigeons and Nilgiri Langurs, not to miss mentioning spotting a flap shell turtle peeping out of a pond in Bandipur etc . Very rarely a safari might turn out a bit disappointing to children due to lack of animal sightings . Children should understand that it is a matter of luck to spot wildlife and there is always a next chance to view wildlife. Most children are passionate about birds and love to learn more about them. Various bird-watching activities like counting birds, recording bird sounds, inspection of bird behavior, admiring bird coloration and shape, will help children to increase knowledge about birds and their daily activities. And, more prominently, these activities are fun to do! As part of Bird watching we also do the below listed activities. 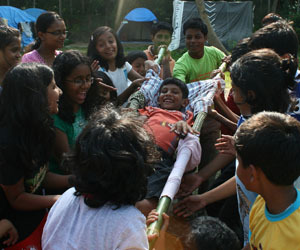 The children are taught from how to build shelters to how to build stretchers out of materials from the forest. 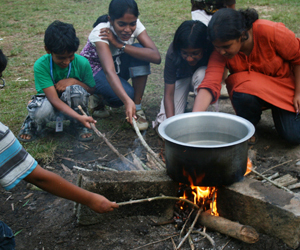 Essential skills like purifying water, lighting fires using flint stones and magnifying glasses and other such basic survival tactics are taught apart from what to eat and what not to eat! First aid against snake bites, insect bites and other health hazards are also dealt with in detail. Last camp, the co -ordinators gave the children a live demonstration of what to do when a friend in the jungle gets injured, and to know what measures must be taken you are welcome join us this summer ! Activity : First aid, Basic wilderness survival techniques, building shelter Identification of edible and inedible plants. 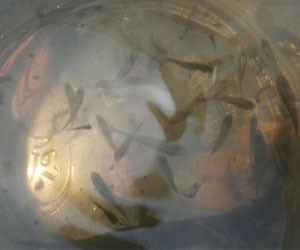 Tiny multi-colored fishes are caught from the stream using light weight hand fishing nets,. We make sure children understand the fact that fishes are the important part of the stream ecology and importance of every living organism in food chain . It is a must for them to release it back after looking at its coloration and shape .. The stream that adjoins our campus is home to colorful fishes belonging to assorted size and shapes. 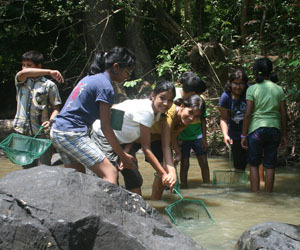 The children are asked to collect fish that they find in the stream and pin point any other organism the see or hear. After which they are briefed on the behaviour and life cycle of the animals. Last year a Caceiliean(snake like, harmless, amphibian) was the star attraction at stream study. We set up moth stations by putting up powerful lights and white sheets. Children will be made admire the various kinds of Moths that can be spotted .It is possible that are more than 40 species of moths can be viewed on single night. 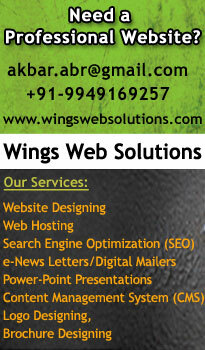 We also use sugar solution, fruit juices, and molasses to attract various kinds of Moths. 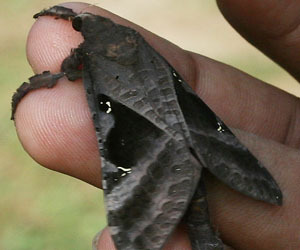 It is pleasurable watching moths that are of various shape and color. Setting up Butterfly Garden with Host plants. Butterfly gardening basically involves growing plants which will attract the colorful lively graceful butterflies into our surroundings. We grow certain host plants. that provides butterflies an area to lay their eggs certain kinds of plants have the ability to attract certain species of butterflies. 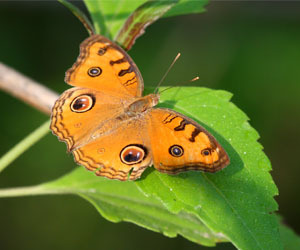 We teach children to identify and recognize butterfly attracting host plants to attract the butterflies of their choice .